Read Week 1's weigh-in here. If you follow me on Twitter, you know that I'm always on the quest for good food. I'm one of those a-holes that tweets pictures of his food all day. After one post earlier this week, one of my followers asked me if I ever ate anything healthy. I told him that I wouldn't want to waste my life doing that. 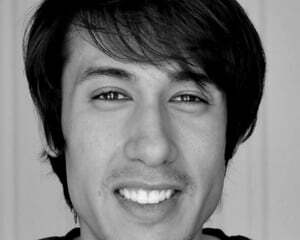 I was in New York all week, covering the PS4 launch as well as meeting with Microsoft on Xbox One. I'm in the city about 5 or 6 times a year, and when I'm there I eat a lot. So this week's weigh-in should be interesting. 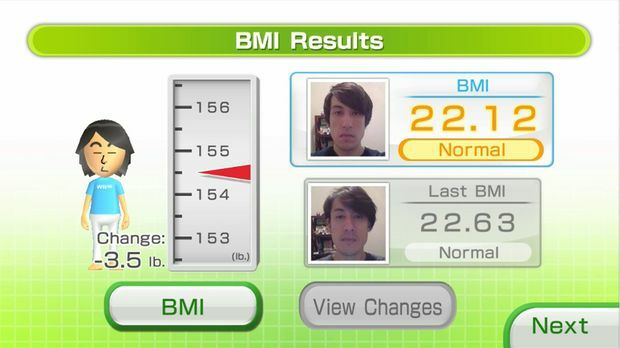 This week's weigh-in will show the usefulness of the Wii Fit U program when for times when you can't perform a daily body check. Being out of town, I only had my Wii Fit Meter with me. I hoped that all of the running around to cover these next-gen launches would burn some calories, but as I've found tracking steps at other conventions, you don't end up walking nearly as much as you think you do. It's just that your feet hurt. 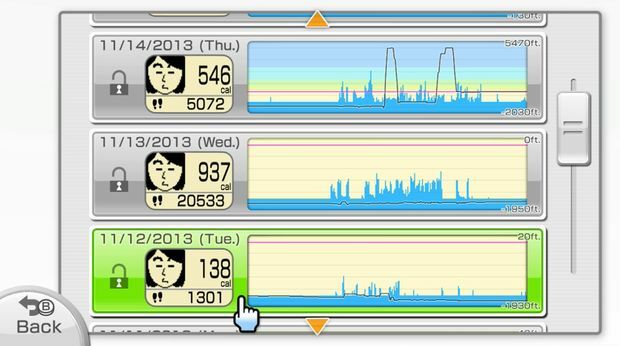 What's neat is that the Wii Fit Meter has enough memory to hold multiple days of tracked data. When I returned home on Friday, I just had to sync to send over the week's walking numbers. Nice! To make up for the lack of exercise, and as a sort of break, I took Wednesday off to do three of the things I love doing most: walking, shopping, and eating. Though the cold wind pushed back, I kept on, hitting all of my favorite places in NYC that day. At the end of the day, my Wii Fit Meter said that I walked about 9.5 miles. I took that as an excuse to order a huge rice bowl for dinner. 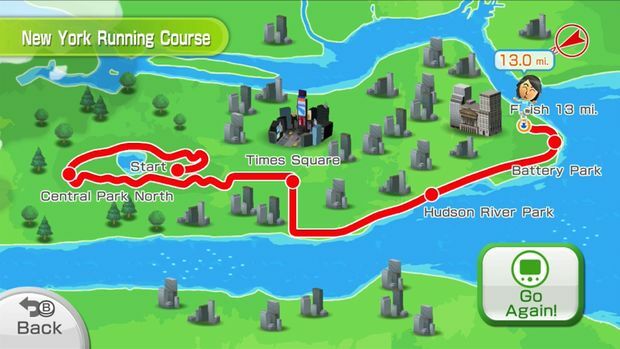 Speaking of New York and walking, I really like Wii Fit U's walking challenges. They use the step data from the Wii Fit Meter to simulate walking courses from all over the world. I've conquered the New York walk, and have done about a third of the Chicago one. I like that you're given little travel tips and trivia blurbs when you reach checkpoints on the map. Goal: BMI of 22 -- getting there! I lost weight? How? 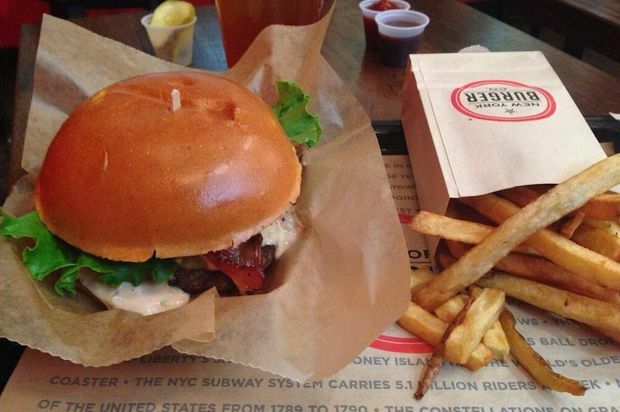 I ate so many hamburgers last week. One evening I drank myself into oblivion, and then passed out for much of the next day, missing one important work appointment. I'm the worst! Even with all of that walking, after weighing in later in the week, Wii Fit U says it's going to be hard to hit my goal with how little I'm moving. It asked if I'd like to try to increase the number of daily calories burned to help try to meet my goal. 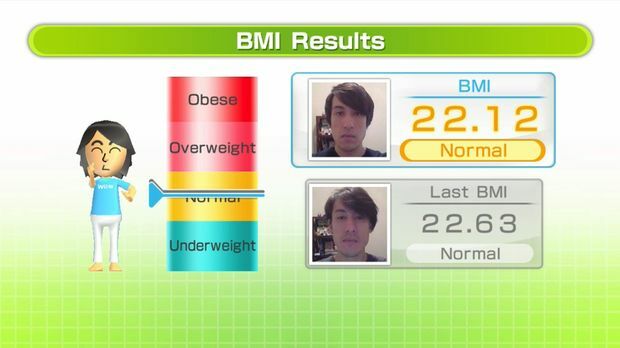 When I said yes, Wii Fit U told me that the required number would be over 2,000 calories a day. The software told me that this would be pretty difficult. The charts show that I'm not even close. So I'm going to hit it hard next week, getting back into Wii Fit U routines. I still want to try flamenco dancing!